Nestled amidst the snow-clad mountains of Garhwal Himalayan Range, Auli adds beauty and fascination to Uttarakhand tourism. 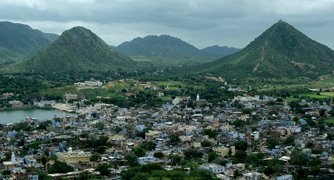 With slopes and meadows flanked by dense vegetation of oak and coniferous , it is hard to describe the beauty of this hill station. Auli is a part of Chamoli district in Uttarakhand in North India and is famous world-wide as one of the best destinations for skiing in India. Considered as a new entrant among the circles of beautiful hill stations in India, Auli is speedily catching the attention of honeymooners, peace-seekers and nature lovers apart from adventure lovers. Its elevationion ranges from 2,519 meters to 3,050 meters above sea level. Known as 'bugyal' in the local dialect, Auli means meadow and hence is a place not to be missed during summer and spring seasons. Natural vistas, panoramic views of Himalayan peaks, lush wooded vegetation and pathways laden with wild flowers give Auli a colourful look. 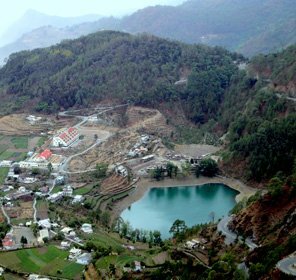 Garhwal Mandal Vikas Nigam (GMVN), an enterprise of Uttarakhand government, is the authorized body for looking after Auli tourism. GMVN not only provides accommodation facilities for visitors but also offers skiing courses for travelers who love to try a hand in skiing activity. Apart from being home to many natural attractions, Auli also presents tourists enough opportunities to engage in fun and adventure activities. There are various recreational activities other than skiing that will keep you busy throughout your tour of Auli. 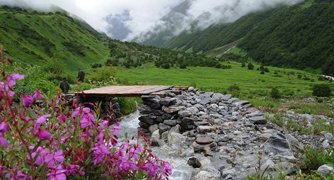 Excursions to nearby places like Valley of Flowers, Nanda Devi Sanctuary and Gurson Bugyal are great sources of interest among travelers. Similarly, trekking expeditions from Auli can give visitors experiences for life long. It is a small shrine dedicated to the Hindu Monkey God. According to legends, the temple has been constructed on the place where Hanuman took rest while flying all the way from Lanka to Dronagiri Mountain in Himalaya to bring Sanjivani (life-restoring herb) for Lakshman, brother of Lord Ram. Located at an elevation of around 23,490 feet above sea level, Trishul Peak is the kind of natural marvel that leaves you enamoured and fumbling for your camera. It is one of the most famous spots to enjoy skiing in Auli. 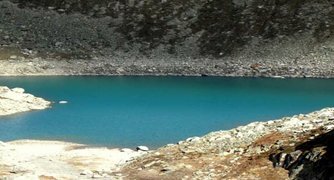 There is also a lake named, Roopkund, situated at the base of Trishul Peak. Situated adjacent to Cliff top Club hotel in Auli, it is the highest manmade lake in the world. This artificial lake is developed by the government to create artificial snow on new ski slopes so that tourists can enjoy an extended skiing season. Named after Goddess Nanda (Bliss-Giving Goddess), Nanda Devi Peak is India's second highest mountain. With an elevation of 7,817 meters, the mountain is indeed a visual treat. Nanda Devi Peak is a part of Garhwal Himalayan Range and is surrounded by Nanda Devi National Park, which is a UNESCO World Heritage Site. 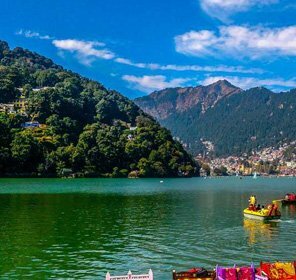 Among the various lakes located around Auli, Chattarkund is one of the most well-known sweet water lakes in the region. Enclosed by oak and coniferous forests, the lake offers picturesque settings to relax. Situated at a distance of 3 km from Auli, Gurso Bugyal is a beautiful meadow that transforms into an eye-catching green beauty during spring and wears a white look during winters. 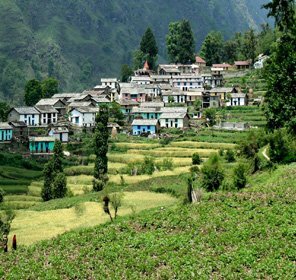 It is an off-beaten destination that lies close to Dang Village, the last rural settlement of Joshimath. There is no motorable way to access the lake and that's what may have contributed towards Chenab Lake. 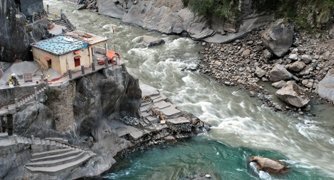 It is a small village located approximately 15 km from Auli on the way to Joshimath. The place is known for its hot-water springs. Enclosed by snow-clad mountains of Garhwal Himalyan Range, Auli is a paradise for skiing lovers. It doesn't matter whether you are a beginner or an experienced skier, skiing in Auli is one activity that continues to fascinate tourists from all over the world. Experience the breathtaking views of valley on one side and snow peaks on the other while enjoying cable car rides in Auli. The hill station has Asia's longest cable car of 4 km. Tourists can enjoy the dazzling beauty of Nanda Devi, Trishul, Dron Parvat and Chhang Bhang. It is not only skiing that attracts adventure seekers to this little paradise of Chamoli district. Auli provides excellent base for several trekking trails. Popular trekking trails in Auli are Auli – Gorson (7 km), Gorson – Tali (6 km), Tali - Kuari Pass (11 km), Kuari Pass - Khulara (12 km), and Khulara - Tapovan (9 km). In the snowy wilderness of Auli, there is no place for shopping. But tourists can find a busy market area in Joshimath, at a distance of around 15 km away from Auli. Tourists can buy a wide array of goods like woolen caps, shawls, blankets, beautiful gift items and souvenirs. Despite its elevated location, there is no shortage of hotels in Auli, ranging from luxury resorts to budget hotels. Tourists can easily choose an accommodation that perfectly suit their needs and taste. Apart from having a large number of accommodation facilities offered by private entities, Auli also has excellent tourist guesthouses owned and maintained by GMVN. Most of the hotels in Auli are well-maintained and equipped with modern amenities. 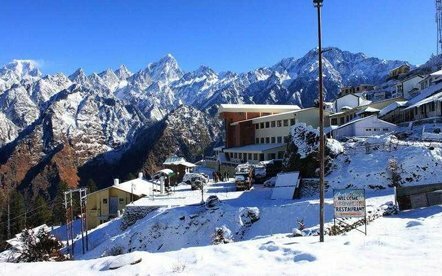 Whether it is summer or winter, there is always a rush for hotel booking in Auli because of the growing popularity of this exotic hill station of Uttarakhand. Feel close to nature and get a sense of comfort offered by Auli hotels. 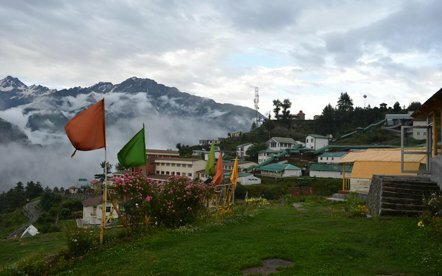 Some of the well-known names are Cliff Top Club, GMVN Skiing & Tourist Resort, The Royal Village and Devi Darshan Lodge. 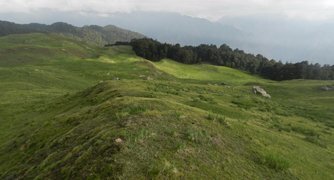 The nearest airport from Auli is Jolly Grant domestic airport in Dehradun and it lies around 279 km from the hill station. From the airport, travelers can take taxis and cabs to reach Auli. Flights are available on a daily basis from Delhi International Airport to Jolly Grant airport. Haridwar, at a distance of around 280 km, is the nearest major rail head from Auli and is connected with various major cities from all over the country. The next nearest railway station is in Dehradun and it is well-connected to all the major cities of India as well. 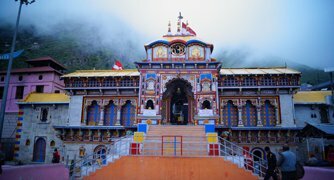 Visitors can easily access Auli via road from Joshimath, which is the nearest city and situated at a distance of about 15 km from the hill station. Regular taxis and bus service are also available from Joshimath.